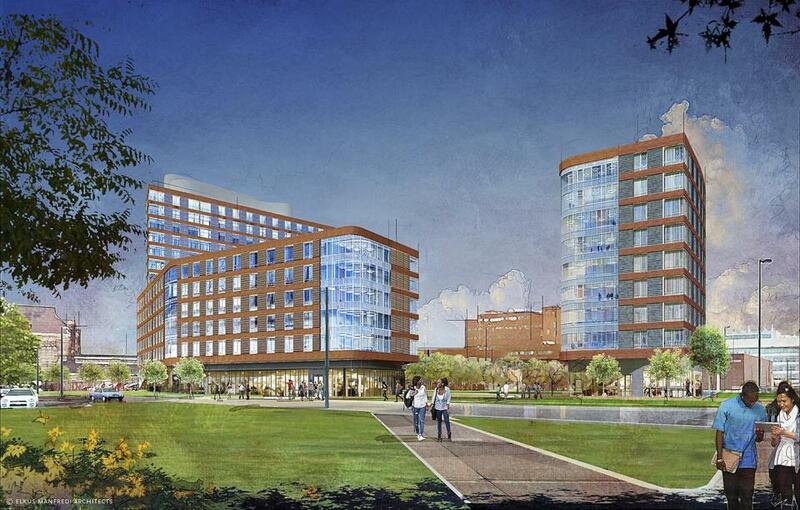 Architect renderings of UMass Boston residence hall and dorm. COURSES ARE BEING cancelled, and political hires are being added to the payroll. Meanwhile, an expensive old-school expansion plan is underway at the University of Massachusetts Boston. Those new state-of-the-art classrooms and laboratories and a first-ever dorm are supposed to make UMass Boston better for everyone. Yet the university could be compromising its basic mission to provide urban students with a local, high-quality college education — all in pursuit of some lofty and outmoded Ivory Tower vision. As always in Massachusetts, the vision unfolds at inflated taxpayer expense. 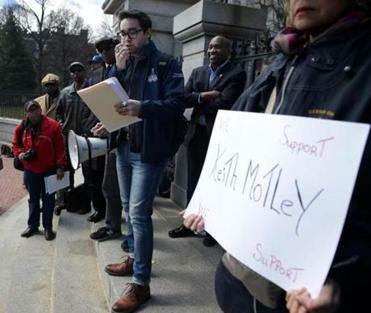 The immediate controversy revolves around the departure of Keith Motley as chancellor, which is breaking down along that old Boston fault line: race. In response to Motley’s exit, which comes after a series of critical stories about his tenure, some black community leaders are decrying what NAACP president Tanisha Sullivan said “is starting to feel like a systemic attack against black leadership.” For that, blame UMass trustees, who ignored several years of warnings about fiscal problems at the Columbia Point campus. Then, when UMass president Martin T. Meehan chose to confront a deficit linked to campus expansion, Motley was identified as the chief architect and overseer of a capital plan that could not have gone forward each year without the blessing of trustees. The deficit, which has never been fully explained to the public, is loosely described as somewhere around $30 million. It’s a mess. But the construction site that currently exists at UMass Boston points to an even bigger mess. As Jacob Murray, of Boston University’s School of Education, writes for WBUR’s Cognoscenti, the plan to transform from a commuter school to a research university comes just as the higher-education landscape is undergoing dramatic change. Murray cites declining enrollment, especially in less selective schools; a rise in older, nontraditional students seeking flexible learning programs; and the emergence of credible online options as three factors negatively influencing schools like UMass Boston. In short, a 10-year expansion plan that began in 2011 could be obsolete in 2017 — before it’s even completed. Those with institutional memories will recall that it took a decade or more for UMass Boston to win approval to build a dorm. Had it happened sooner, those rooms might now be occupied. Now the challenge will be to fill them up at a time of shifting higher-ed needs and priorities. It would make an interesting academic case study to look back at the failure to build dorms earlier. Was it a breakdown of administrative leadership, or community bias against the diversity reflected by the UMass Boston student population? Faculty say the cuts to courses will have a drastic impact on students’ ability to graduate on time. Whatever the reason then, today’s students face a different challenge. To reduce costs, courses have been abruptly cancelled, some affecting a student’s ability to graduate. Despite an alleged hiring freeze, Tom Sannicandro, a former state legislator from Ashland, was named director of UMass Boston’s Institute for Community Inclusion. His $165,000 salary will be funded by grants, a university spokesman said. Motley, meanwhile, is taking a year’s sabbatical at a salary of $355,059. After that, he returns to campus as a faculty member at a salary of $240,000. Former Bowdoin College president Barry Mills, who was hired to assist Motley at $250,000, now becomes interim chancellor. Robert Connolly, who retired as UMass Boston spokesman last August with $75,000 in unused sick time according to the Boston Herald, is now helping out Mills. As a “post-retirement professional with the system office,” Connolly could earn up to $48,000 this year, according to a UMass spokesman. Meanwhile, rising construction costs and other fiscal problems have yet to be publicly addressed in detail. Boston’s only public university is probably the school of choice for more immigrants, people of color, and those with economic disadvantages than any other university campus in New England. Blaming Motley doesn’t help them. They need a champion, and UMass Boston needs a reality-adjusted vision to serve them.